Can you call to mind the last time you felt physically hungry? What kind of symptoms did you have that made you know you were hungry? 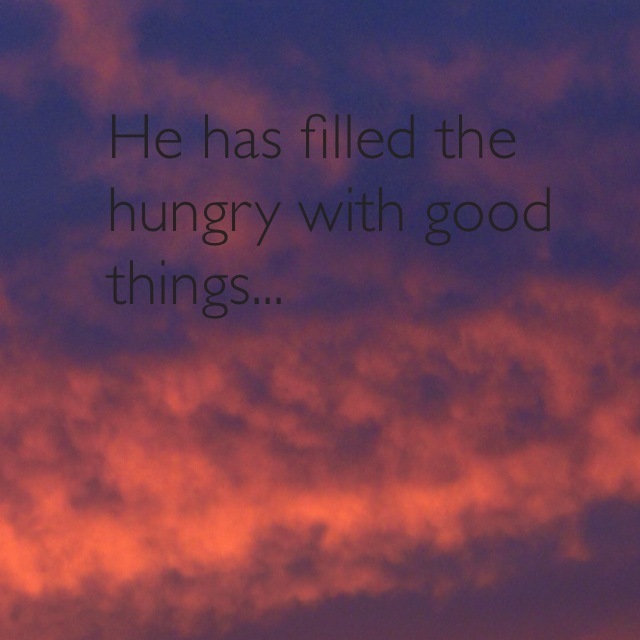 Have you ever felt a similar kind of hunger for God, a kind of restlessness or desire in your soul? How was that hunger satisfied? What things, attitudes, or people pull you away from God? Oh, Father, I long for you. Though success, affirmation, and adoration lure me away, and though fear, failure, and disappointment threaten to overwhelm me, my soul searches for you alone. My spirit reaches out, longing for your peace, joy, and life. Fill the ache in me with your presence today. Pour your love into my hungry heart. Remind me of your promises and your mercy. I am yours.